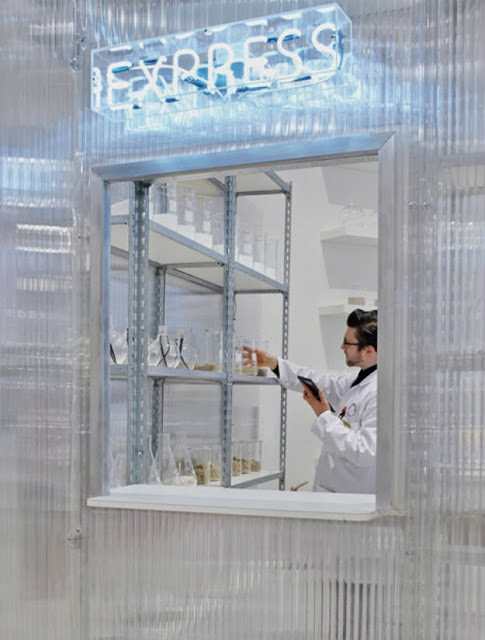 On the ground floor of Selfridges, participants enter a futuristic laboratory-like space peopled by scientific-looking assistants in white lab coats. Guests are given an iPad and asked to take a personality test that consists of multiple-choice questions and pictures. After filling that out, visitors don a pair of white headphones and make their way through an audio-guided tour of spaces filled with various objects and scents. They might, for example, open a mystery drawer, selecting an object that speaks to them in some way and identifying the smells that rouse them most. Read the whole article following this link and learn more on this link.